In this reaction, both reactants are colorless solutions. After mixing, heating and then cooling, the result is a beautiful display of glittering lead iodide precipitating out of solution, giving it the nickname ‘golden rain’. Also known colloquially as ‘pharaoh’s serpent’, this chemical reaction was once sold as fireworks and used to be a favorite classroom demonstration. As the name implies, the reaction involves toxic mercury. Mercury (II) thiocyanate is a white solid. When heated, it decomposes into carbon nitride and expands quite dramatically into a brown solid. Sulfur dioxide and mercury (II) sulfide are also produced. Magnesium is a white malleable and ductile metal that burns readily in air or oxygen with a brilliant white light, forming magnesium oxide. When magnesium is sandwiched between dry ice – or solid carbon dioxide – it forces the magnesium to react with the carbon dioxide. The result is a powerful single displacement reaction that produces magnesium oxide, carbon and lots of light. The white magnesium oxide product and the black carbon residue can be observed after separating the two dry ice blocks. Also known as the ‘iodine clock’ experiment, a colorless solution of hydrogen peroxide and sulfuric acid is mixed with another colorless solution of potassium iodide and sodium thiosulfate with starch. Moments after mixing, it produces a dark blue solution. The reaction occurs in two steps. The first, slow reaction is when iodine is produced. In the second, fast reaction, iodine is reconverted to two iodide ions by the thiosulfate. In this reaction, two solid elements react in the presence of water to form aluminum iodide. The reaction is very exothermic and bursts into flames. The heat of the reaction sublimes the iodine, sending a deep purple plume into the gaseous phase. Donating electrons oxidize aluminum while accepting electrons reduce iodine. When solid iron rods are placed in a test tube containing a copper sulfate solution, iron, the more reactive metal, displaces copper to form iron sulfate. This is an example of a single displacement chemical reaction with a spectacular visual effect. From golden rain to ice light, these seven chemical reactions are awesome enough to weather the test of time. 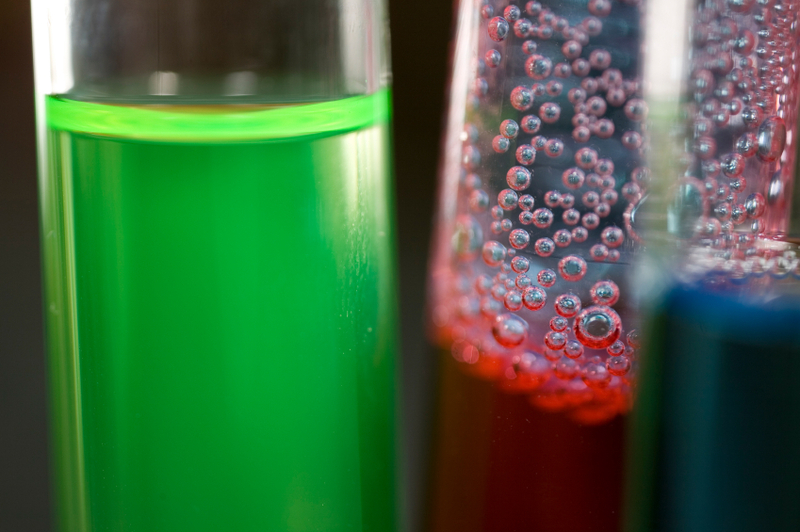 Want to try these chemical reactions in your own lab, or just need iodine and its derivatives for your research? Contact us today at Ajay-SQM and let us be your trustworthy and reliable source for iodine derivatives.